Fairfax Stars 13u Boys NTBA National Champions!! One of the basic tenets of the Fairfax Stars AAU basketball program is that every effort is made to insure that no student-athlete is unable to participate as a result of economic hardship. Accordingly, four years ago, through the kindness of a number of generous benefactors, the Fairfax Stars Scholarship Program was established. Each year, a number of partial scholarships are awarded to candidates based on criteria similar to the Fairfax County Scholarship program and following a review and evaluation of the application by the Fairfax Stars Scholarship committee. For more information, please send an e-mail to: info@fairfaxstars.org and the inquiry will be forwarded to the Chairman of the committee. **Note- Scholarships are only available for registration fees and all applications will require accompanying documentation to be eligible for consideration. Striving for excellence...on and off the court! 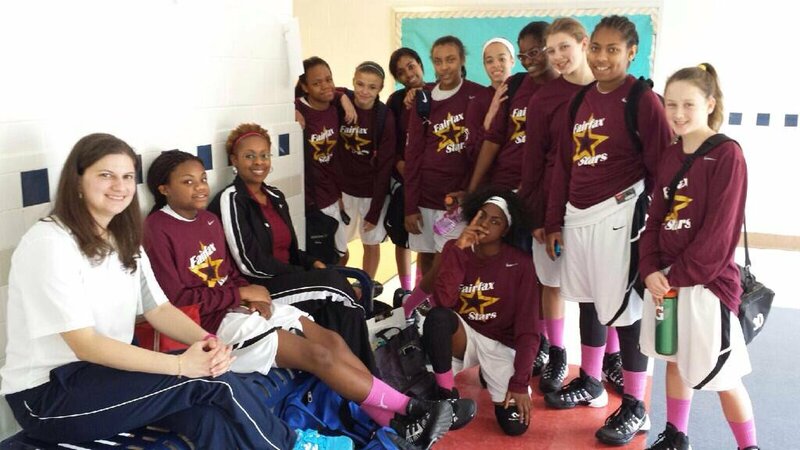 The Fairfax Stars basketball program includes teams for girls and boys from ages 7 – 18. Teams are selected based on an open tryout, therefore all potential candidates are invited. The foundation is a commitment to teaching fundamental basketball skill development and knowledge of the game. Copyright (c) 2017 Fairfax Stars. Design by New Leaf Design.